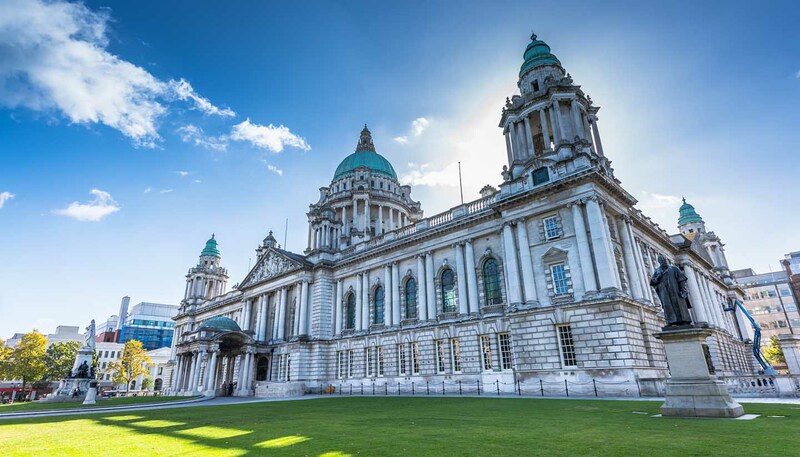 Once the most troubled city in Europe, the last two decades have wrought an extraordinary transformation in Belfast and have seen it become one of the UK’s most interesting and likeable cities. Much of the credit goes to the upmarket developments that have seen down-at-heel docks turned into the glittering Titanic Quarter and a miserable stretch of 1970s city centre blocks flattened and reconstructed as the hugely popular Victoria Shopping Centre. Yet for all the progress, the 18th-century municipal and university buildings still remain, and the yellow Harland and Wolff cranes continue to glower across the skyline. The magnificent Belfast Lough, a lengthy sea inlet that stretches in towards the docks, remains a focal point for the city. As does the cheerful St George’s covered market, a bustling hive of activity where visitors can snap up everything from sea salt to cheese shaped like the Giant’s Causeway. Food has played a large part in the renaissance of Belfast and there’s no shortage of places to eat well, whether you’re in the market for an Ulster fry (like a full English but with added white pudding) or fancy something a little more upmarket. Hotels have played a similar role, not least the ultra-luxurious Malmaison and the central Merchant, the latter offering mouth-watering cocktails that cost an eye-watering £45. However, much more of Belfast retains an old-fashioned charm. Look out for the red brick buildings of Queen’s University, the picturesque Belfast Museum and the gorgeous Botanical Gardens that back onto it. Yes, it is a city that has had problems in the past and underlying sectarian tensions still occasionally spill over into violence. But it’s a modern, outward-looking city too and one that’s only too happy to show visitors its scars. Neighbourhood tours can take you past the Loyalist and IRA graffiti that were once a staple of the nightly news bulletins. For all that, it’s a truly friendly place that welcomes everyone, no matter what they believe or where they come from, and achievements don’t come much bigger than that.